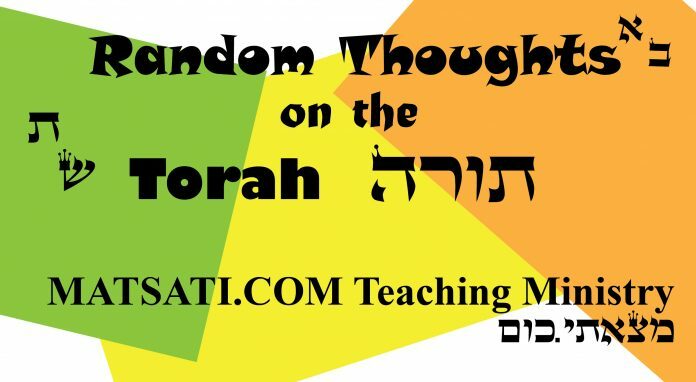 Today in the Messianic communities, I see on social networking a number of people who take the Torah and beat people up as if it is a rod of correction that should be used to bring someone around to a particular way of thinking. According to the Damascus Document, the rod is the interpretation of the Torah whereby one digs the well, how the Torah is lived out, or how one studies Torah. The person described in the scroll is digging his own well for water; we are not told to dig someone else’s well for them. This goes a long way for our understanding on the roll of the Torah in our lives today. If we are busy beating up everyone else over their interpretation of the Torah, we are busying ourselves with pride and arrogance and not doing as the Scriptures say we should be doing which is to love our neighbor and being the example. When we consider the parable here of the Torah being a Well; in the desert region of the Middle East, a Well has life giving properties by reason that one cannot live in arid places without water. Naturally, the rabbinic understanding of the Torah as a Well draws out this principle of life and even Eternal Life if one also considers the prophetic literature such as Ezekiel. The world also may be considered an arid place lacking the principles of truth, righteousness, and justice, the ways of the living God which again draws into context this idea that the Torah is a Well of life. Yeshua said in the Gospel of John to the Pharisees, John 5:39 “You search the Scriptures because you think that in them you have eternal life; it is these that testify about Me;” (NASB) This is an important point that He is making with regard to the Torah. Our Eternal Life is found in Him (Yeshua the Messiah) and the Torah is what teaches, guides, and directs our attention towards God and testifies of the One in whom we are Saved. The Torah as a Well, that testifies of the Messiah, speaks to us that the life giving waters found in the Torah is Yeshua the Messiah. Our learning and understanding about the Messiah comes by laboring in the Scriptures, to learn what the Lord has spoken to us regarding His plan of Redemption. We labor to know God, to draw near to Him and to learn about Yeshua the Messiah. If we are busy digging someone else’s Well, we are not doing what the Lord wants for us. Studying the Scriptures is one of the ways we draw near to the Lord, which also includes prayer, remaining in the word (study), and righteous deeds which are described as the Sacrifice of Thanks (Thank offering) unto God according to the Psalms (see Tehillim / Psalms 50, compare the Targum Pseudo-Jonathan to the Masoretic Text). Studying the Scriptures and the Torah is very important and should be a part of our daily lives. However, we also need to consider the importance of the first century perspective, that the Torah is not a tool for beating others up. The Torah is a Well which is life giving by reason that we dig with the motivation of seeking the Lord God Almighty and His Messiah rather than serving ourselves (e.g. correcting others). I believe the Torah movement could go a long way if this simple principle was followed. Teaching and instruction should come by gentleness and meekness, something Yeshua taught as our example!